The partnership between St. Stanislav’s Institution and some Norwegian schools has developed as a side product of the primary school’s project on outdoor education. Besides, outdoor learning the Norwegians have a very well developed entrepreneurship training from kindergarten to university, which is coordinated by Junior Achievement – Young Entrepreneurs programme. The JA-YE programme is internationally recognised and has been in operation for more than 50 years. Through it, St. Stanislav’s Institution made a partner school with one of the best schools in entrepreneurship Kongshavn Videreganede Skole in Oslo. Kongshavn holds some of the best innovation camps where students face real life challenges in international enterprises and propose solutions that are sometimes implemented in real life. Besides, the school runs a well-developed course on entrepreneurship and their students perform well on competitions. The purpose of this project is to acquire entrepreneur skills from the Norwegian partners, benefit from innovation camps, develop materials for the use in Slovene classes and exchange some Slovene experience on this field with our partners. In the realm of this programme students found a stock company, trade their product, plan financial management and close down the firm at the end of the school year. Students actually produce, sell their products or offer service for real money and share profit among stockholders at the end of the school year. To fulfil the plans there are several student exchanges planned within this project. We are proud to announce that the students of The Diocesan Classical Gymnasium won the Slovene competition on entrepreneurship, thus gaining the participation in the European competition 2014 in Estonia, which took place from 22nd-25th July 2014. With participants from 36 countries, the competition was fierce. 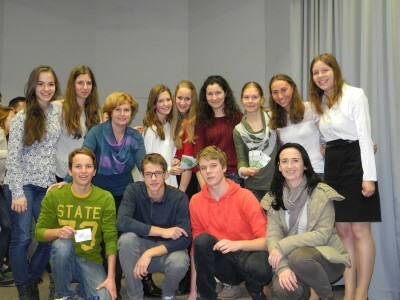 Despite little experience the Slovenes managed to receive two minor prizes. 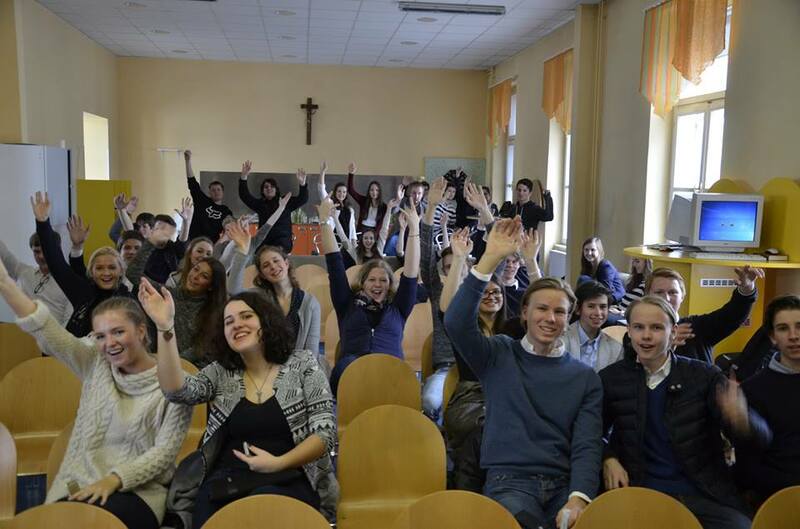 From 24th – 26th March 2015 the DCG students took part in the innovation camp together with other students from different Slovene high schools as well as the students from Oslo, Norway who shared their abundant experience in entrepreneurship. The main theme of the camp was to find the best marketing approach for Microsoft challenging the young for the use of Office 365. During the process of answering the challenge the students learned how to cooperate, exchanged ideas in English and took in some know-how offered by Slovene businessmen, mostly the DCG alumni. Students came up with various creative solutions; however, the first prize went to a group that presented the idea of “Microsoft Puzzle Challenge« and won the tablets. The event took place under the sponsorship of Microsoft in cooperation with the Slovene Institution for Promotion of Entrepreneurship among the Young, which functions in the realm of the international organisation JA-YE. The innovation camp is a part of the Erasmus+ project, led under the mentorship of Mirjam Lindič, teacher of German. Another Erasmus+ project in the form of an innovation camp took place from 9th – 14th November 2015 in Oslo, Norway. Twelve students of The Diocesan Classical Gymnasium, as well as those from Kongshavn Videreganede Skole, Oslo and another German high school tried to solve a challenge posed by a famous entrepreneur from Oslo. Students’ task was to set the financial construction and present it before a professional jury. English was the official language of the camp. The mentor of the project in St. Stanislav’s Institution is Mirjam Lindič, teacher of German.